The striking design of the Alterra CS1200 contemporary wood stove puts the focus on the brilliant glowing fire. With an impressive 20% greater viewing area than traditional wood stoves, and a handy fire-wood storage area at its base, the CS1200 is perfectly proportioned for visual pleasure and functional convenience. Backed by the industry’s most comprehensive Limited Lifetime Warranty! 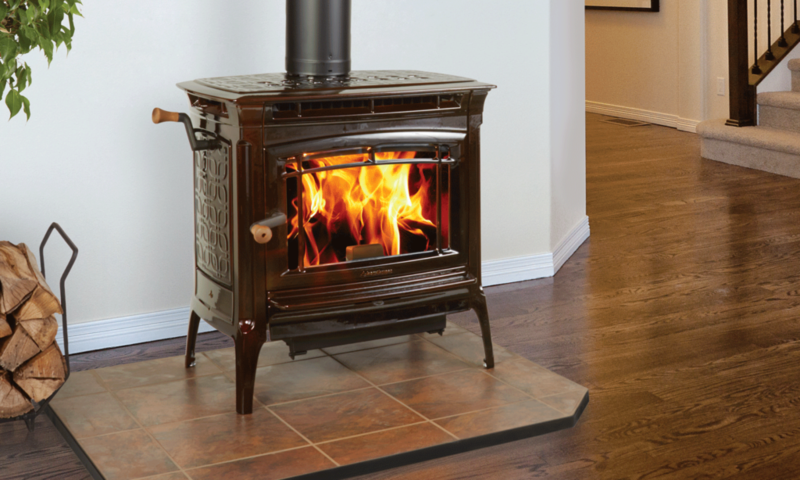 The timeless styling of the Classic Wood Stove comes in three sizes producing from 55,000 to 80,000 BTU of toasty warmth for a single living area or an entire home. Up to 77% efficiency means any room can be heated quickly. It also means your wood stove burns cleanly meeting the strictest air quality standards set by DEQ Washington Phase II Clean Air Standard of 4.5 grams/hr. or less. 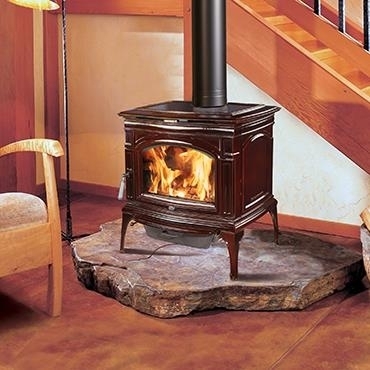 This large Hampton Wood Stove provides high efficiency heat to ensure warmth & comfort even when the power is out. Functional design features include an easy latch door, sealed ash drawer and a cooktop surface. You can load firewood from either the front or side allowing for ease of use. Backed by the industry’s most comprehensive Limited Lifetime Warranty.